Pete Alborano made a good showing, but it didn't seem to matter. 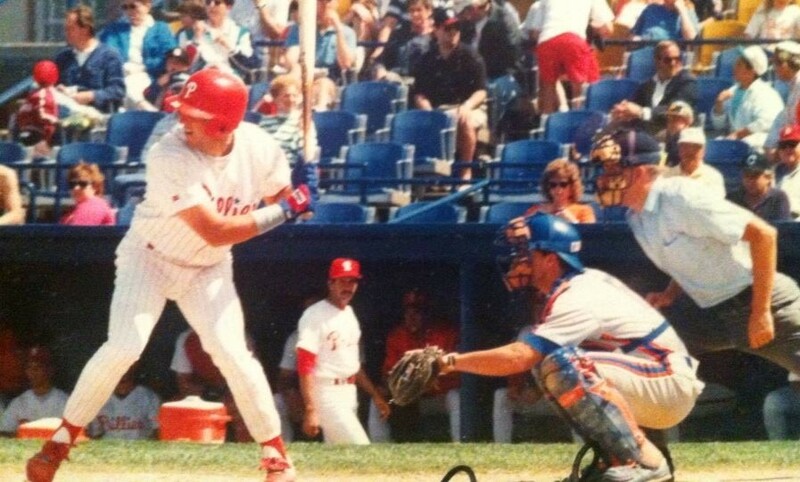 Late in the 1992 season, Alborano got a start as the designated hitter for the AA Reading Phillies and he went 4 for 4. He recalled using those four hits to hit hit for the cycle. "It was very exciting to do it," Alborano recalled recently to The Greatest 21 Days, "and then the wind came right out of my sails." After having perhaps the best game of his career, the 26-year-old's reward was a renewed seat on the bench. And he stayed there through the next road trip. As he sat, Alborano recalled his father encouraging Alborano to go in and ask to be released. Maybe Alborano would have better luck with another organization. Alborano's thought: Give it more time. As it turned out, there wasn't much more time. "I came back from that road trip where I never played and then they gave me my release," Alborano said. "I didn't have to ask for it." Alborano thought about trying to catch on elsewhere. He even received one offer to play at a lower level. But Alborano felt it was time to move on. He and his wife had a 2-year-old son by then. Minor league baseball made it hard to be a dad. "We decided against it," Alborano recalled. "I figured 'Let me start working and earning a decent paycheck' because you don't make any money in the minors." That decision ended Alborano's seven-season professional career. He spent three of those seasons at AA and parts of a fourth. He never made the majors. Alborano spoke to The Greatest 21 Days recently by phone from his Long Island home. 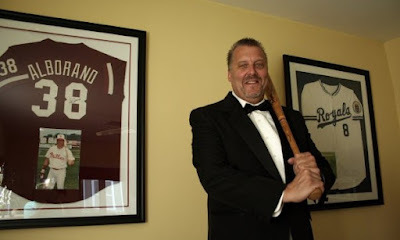 He covered his career in the game from its start playing for his father at Brooklyn College through his time playing in the minors for the Royals and then the Phillies. 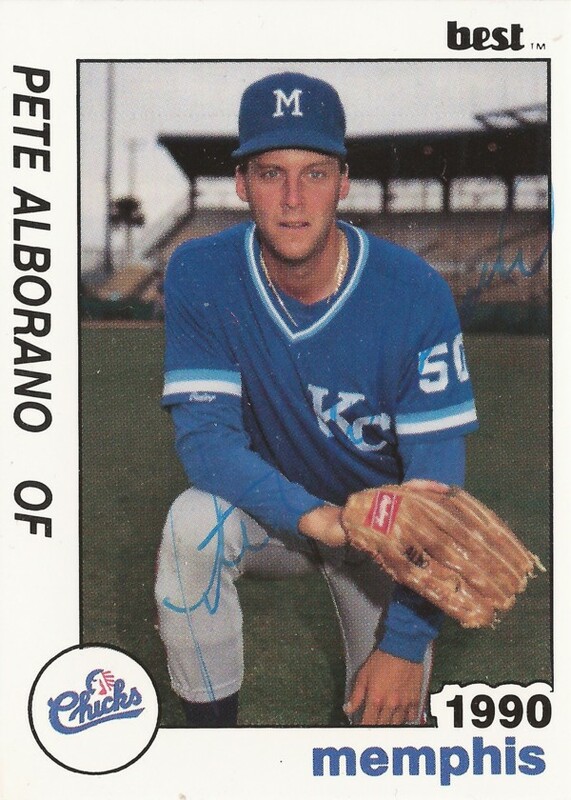 Alborano played his first six seasons in the Royals system. His last there came in 1991 back at AA Memphis. He got into 51 games that year and hit .257. The limited playing time continued a trend in his career. In full seasons that are typically 140 games, Alborano never got into more than 92 games in a season. 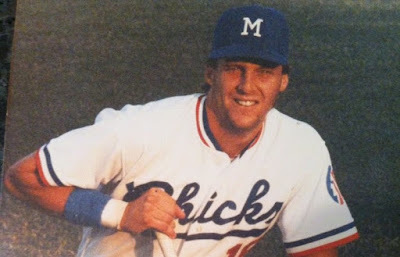 He played 77 of those games in 1989 as the starting left fielder at single-A Baseball City. "It was tough to deal with," Alborano said of the limited playing time, "but I'll be honest, at the time, as a young man, I was a little bit scared to really make waves so I just kind of rolled with it and went with it." He noted that as a 29th-round pick in 1986, the team had little invested in him. "I thought maybe I'll just be quiet and maybe something will happen and I'll get in there," he said. 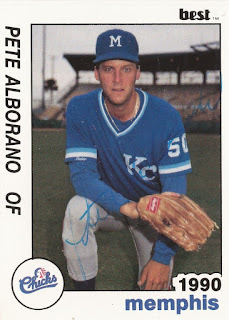 In that final season with the Royals, Alborano recalled the team talking about moving him from the outfield to first base. He even started taking grounders, but he soon turned his ankle. That essentially marked his end with the Royals, he recalled. Alborano, though, continued. He signed with the Phillies for 1992. Alborano recalled a few people put in a good word for him with the club and they brought him in. Alborano tried to take advantage. He recalled having a great spring training hitting close to .400. He didn't think they expected him to do that well. "I went down there in shape. I took pride in getting on the plane from New York to spring training in shape," Alborano said. He recalled getting help from his father and brother. His father was also his old college coach. He worked with his brother on strength training at a gym. "They didn't know what to do with me," Alborano recalled of the Phillies. The team ended up sending Alborano to AA Reading in the Eastern League. His playing time ended up being similar to his time with the Royals. He got into 52 games and he hit .232. But there was that final big game, then that was it. He recalled having one more chance to go back. John Boles and the Marlins offered him a slot in the high-A California League. It was a step down from AA, and there was little prospect of moving back up. Alborano passed and moved on. He soon took a job back in Brooklyn with the Teamsters driving truck. For a decade now, he's been in a different job as an officer for the Nassau County Sheriff's Department working with inmates. In his free time, he raises and shows English Bulldogs. He is the father of two grown children. Alborano recalled having some opportunities early on to continue in baseball as a coach with all the time commitment that would have come with it. Alborano wasn't interested. His son, he said, is sometimes upset with him for not continuing. But Alborano did continue, just in a different role. "He forgets," Alborano said, "that I was at all his Little League games and I coached him. ... If I'm in the minor leagues traveling, I'm never going to be here. I respect the guys who do it."